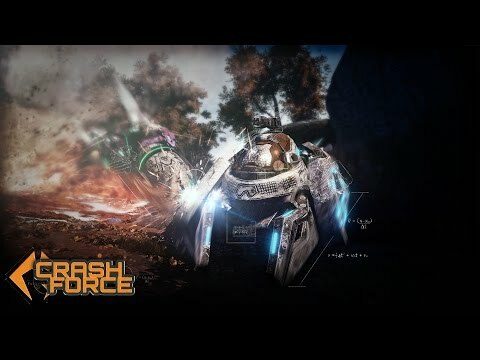 Crash Force is an amalgamation of the most popular genres in gaming; it is an Online Multiplayer, Arena, Shooting game at its core, with RPG and Racing elements, where the player assumes the role of a hovercraft to annihilate his enemies. Choose your side between the three rival hovercraft families, nine hovercrafts models, and battle in three distinct maps. Fight your way to the top of the ranks with the help of friends or solo in a 6v6 fast paced shooting style. Engage your opponents, in four different game modes: Team Showdown, One Man Wolfpack, Capture the Flag and Control the Nest. 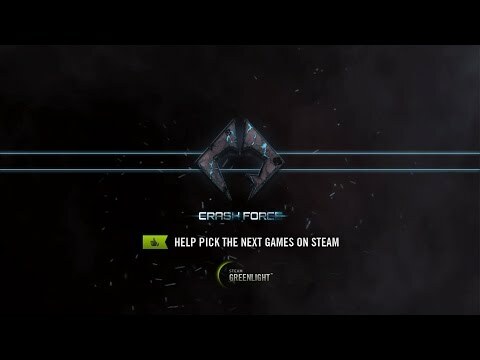 The game mode names may change until release. Choose from three different maps: Aquila Plains, Cicuma Forest and Clava Tombs. Will you be the one to hit the maximum level of 30 first? Reach maximum level and start working on your Aviation Levels to unlock specialized skills. Compare your profile statistics (KD ratio etc.) with your friends and customize your profile look with a variety of icons. Multiple customization options for you hovercrafts in the form of skins. Choose from 9 Hovercrafts (three at the moment for BETA), three classes, and three hovercraft families (Aquilas, Clavae and Cicumas). Dominate your opponents with a variety of different Abilities. Control your in-game view of the vehicle, using two camera modes: Combat mode(locked) and unlocked. Pick up ammo packs for your vehicle's primary and secondary weapons. Refuel your hovercraft's energy by passing over energy pads.